Most of the fans are especially stunned to see that the girl looks all grown in the photo like an adult. Nadia shared the photo on her Instagram page with a beach setting which shows that they had gone out to have some fun. 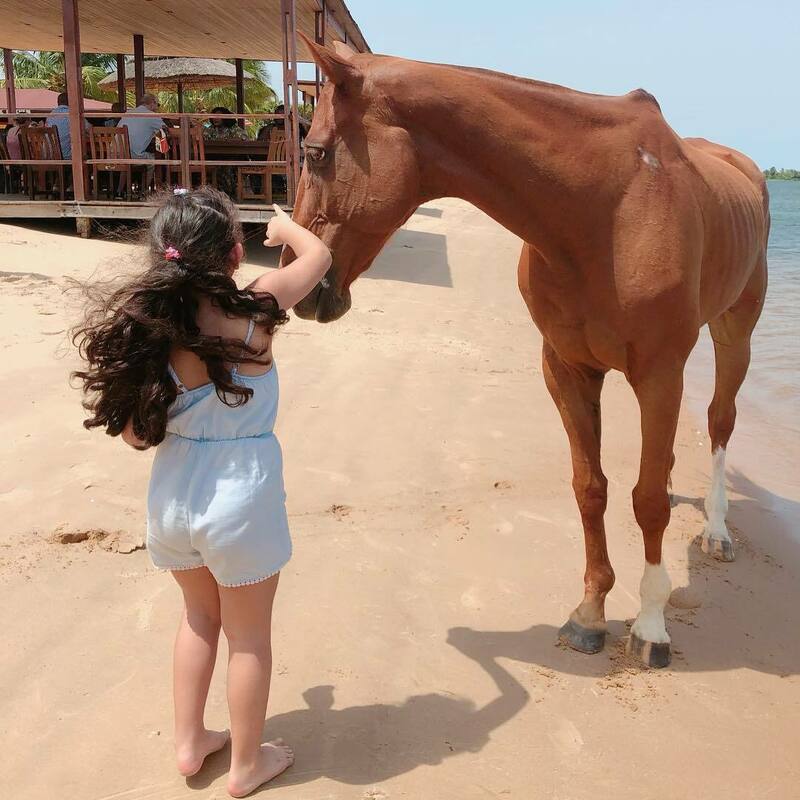 The beautiful girl is seen playing with a horse, and as usual, had her back to the camera so that no one see her face as Nadia has been doing since she gave birth to them. The actress had the twins in 2015, meaning the girl must be four years by now, but her looks in the photo shows more than four, and this has got her fans talking. She has often shared videos singing and playing with them, especially, the fourth one and it’s all lovely.